The equipment manufactured and supplied by Chain & Rope Suppliers Ltd Dublin used in the recovery and winch industry, construction industry, industrial, food industry, marine industry, pharmaceutical industry, agriculture industry, engineering industry, lifting equipment industry, lifting gear industry, hoisting industry, is always tested and certified to the relevant EN : Standards. 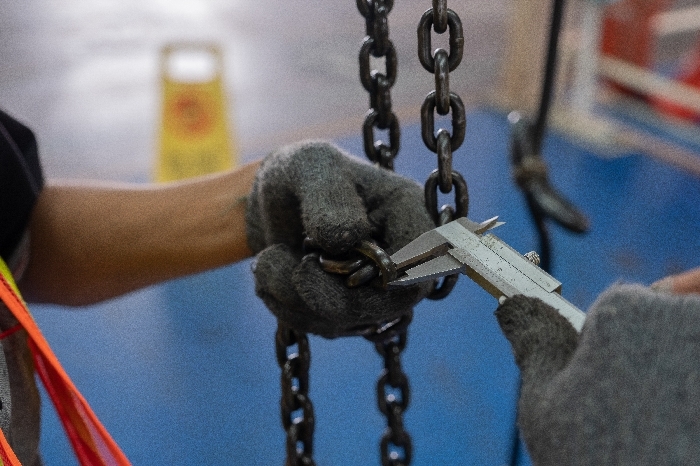 In addition to new equipment Chain & Rope Suppliers Ltd have the qualifications and skillset to repair, test and certify used equipment for the above industries. As part of our bespoke design and manufacturing facility we have incorporated an in house approved test and destruction test bed. With this new class A, calibrated test bed we can now confirm the status of any products duly tested, and above all else certify with confidence to required standards.